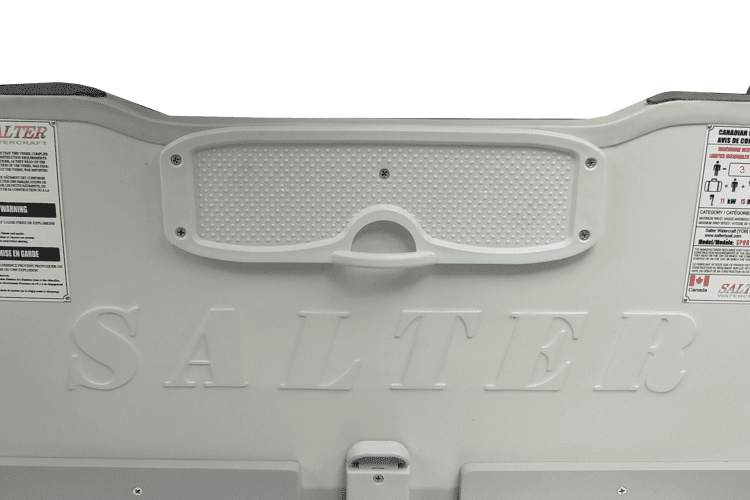 The Salter 9ft Boat in a bag is perfect for those getaways from the city. Whether you’re trying to catch the next big fish or just enjoying the water and sun; this inflatable boat is perfect for you. 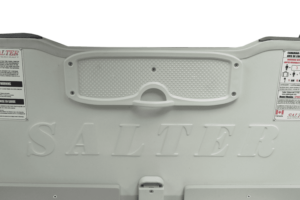 The high quality of Salter boats will appeal to pleasure trip takers and fishermen alike. Salter Boat in a bag is a round-nose (bow) inflatable boat. 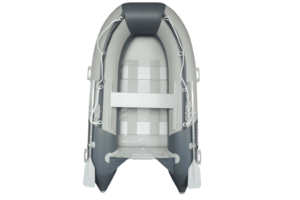 With its wider round body, the boat is roomier for passengers and goods. 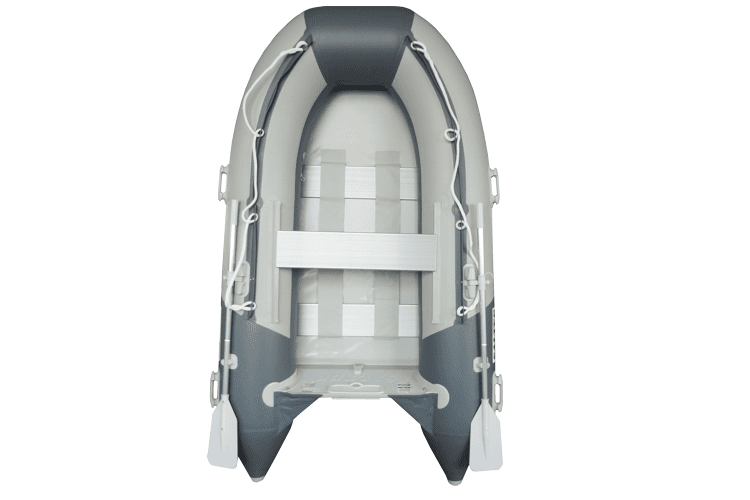 Improved buoyancy, stability and operation, this kind of boat is multifunctional. 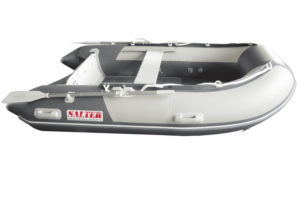 Not only is the inflated structure easy to be handled, but also compatible with a marine engine to achieve speed. 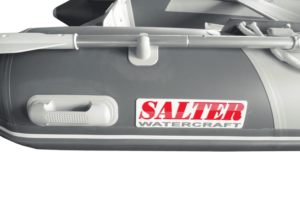 The Salter boat in a bag is now made with The highest quality Mirasol PVC Fabric, 0.9 mm thickness The hull bottom is also 0.9 mm thick, The salter boat in a bag is one of the best selling boats in the market today not only on price but quality, durability and carry’s the best warranty in it’s class. 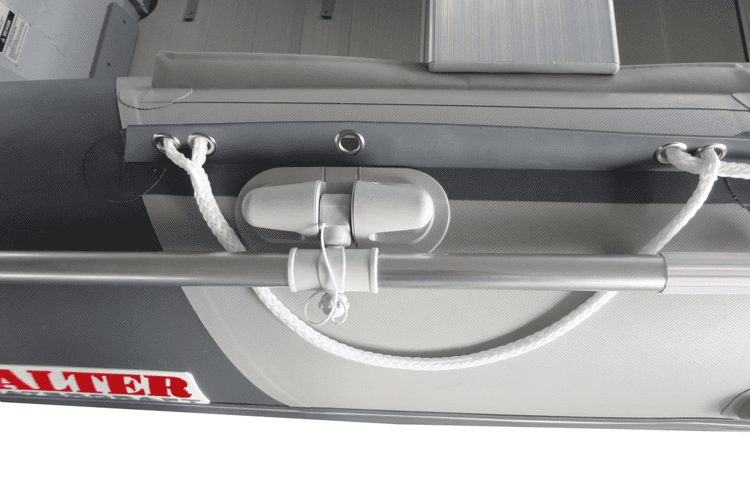 The boat in a bag comes with a range of accessories to maximize your boating experience. 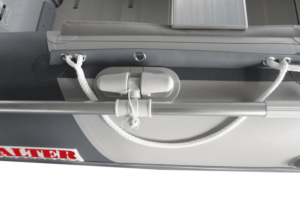 Accessories include: aluminum oars, durable aluminium seats, high volume foot pump, carrying bag, patch kit, towing rope (painter), one way rear drain valve with plug, and a reinforced bumper. All Salter boats are Transport Canada Certified. Going for a long getaway or going on a short but sweet day trip? 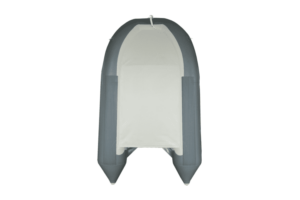 The 9ft suits all needs.